Among our fine line of blank apparel we also offer blank fleece wholesale blankets. These items are a great addition to any home. After all, who couldn't use a nice fleece blanket as a comforter, throw blanket, or decoration blanket? Take a look at our blankets to find the best option for you. First off there is the Gildan G129 DryBlend 9.3 oz. fleece stadium blanket. 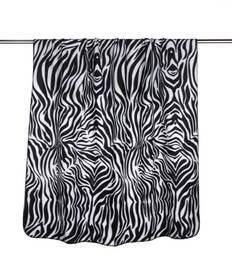 It is 50% cotton, 50% polyester with double¬ needle hem, mitered V corners and hemmed sides all around. 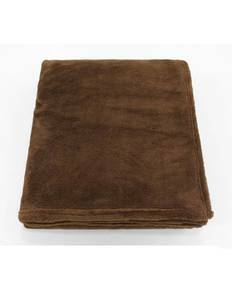 This blanket choice by Gildan comes in a great assortment of colors like: black, cardinal red, Carolina blue, forest green, and orange. It is 60 inches long by 50 inches wide. This is an excellent standard blanket at a great price. Gildan is one of our top selling brands so this blanket is worth checking out! The Harriton M999 12.7 oz. fleece blanket is a heavier option that comes in 100% polyester. This blanket is the same size as the Gildan option at 60" x 50". One side is anti-pill and it is finished with a matching whipstitch (Charcoal has a Black whipstitch visible in item picture). This blank wholesale blanket comes in black, charcoal, hunter, navy, red and true royal. The Liberty Bags 8700 blank fleece blanket is the heaviest blanket option at 16 oz. It is a 100% polyester fleece blanket with anti-pill fleece and matching whipstitch trim. Each blanket we offer is unique in its fabric and weight. Find the best option for your needs between these blank wholesale blankets.